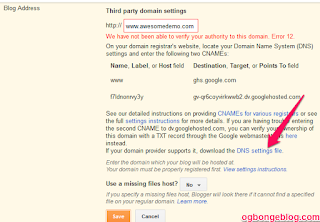 GoDaddy DNS service supports the Blogger DNS settings file, which contains all the DNS settings you need to set up a custom domain for your blogspot blog. 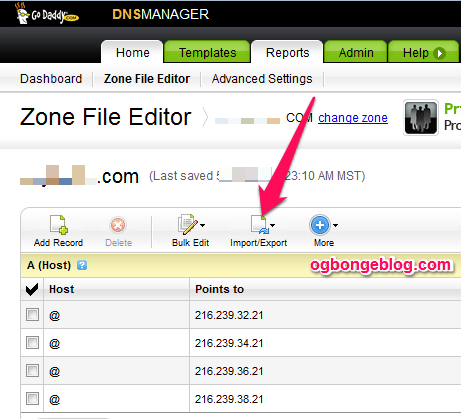 This simply means you can easily change from .blogspot to .com by uploading the Blogger DNS zone file to your Godaddy DNS manager. 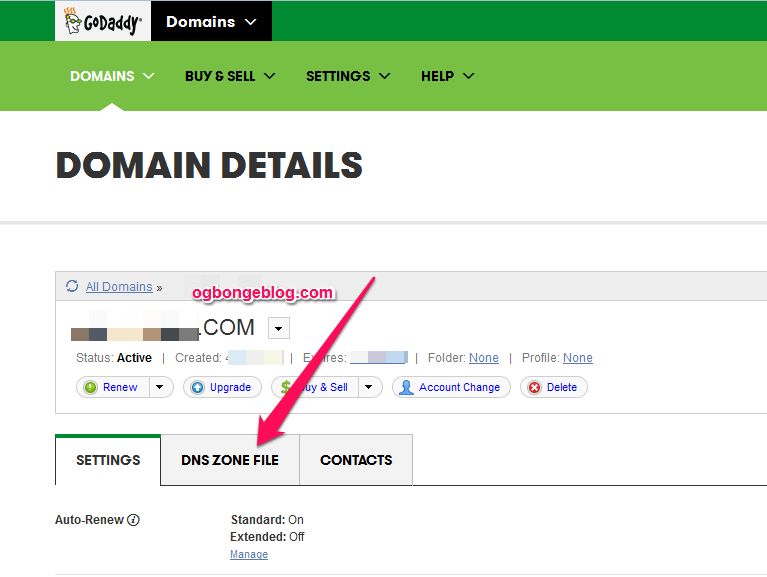 So, in this post, I will show you how to get the DNS zone file for Godaddy Blogger DNS set up. 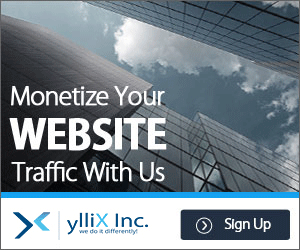 I assume you have an existing blog and you have already purchased a domain name on GoDaddy.com. 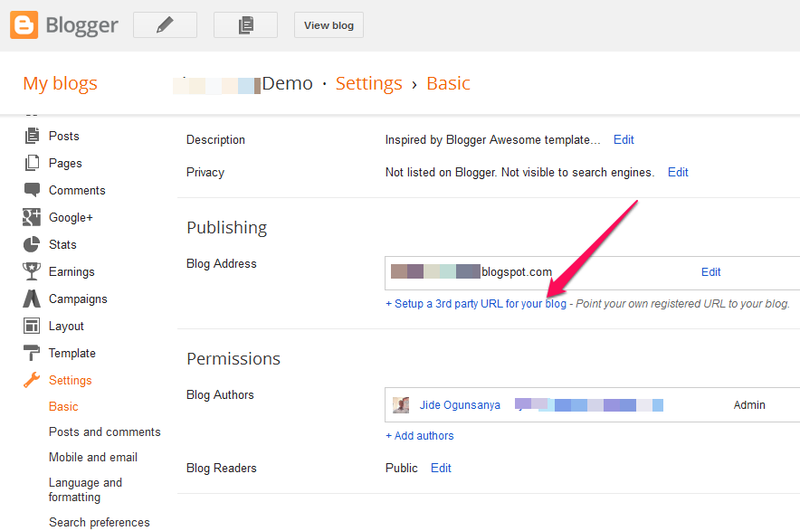 ==> Go to "Settings" > "Basic"
==> Click "+ Setup a 3rd party URL for your blog"
You will see an error. 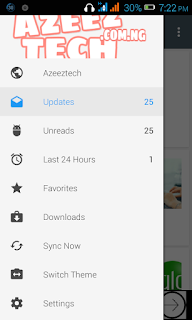 Now click on the "DNS settings file" link and save the DNS settings file. 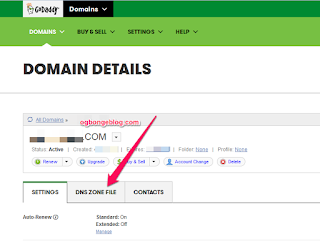 That is the DNS zone file you will upload to godaddy to complete your Blogger custom domain set up. 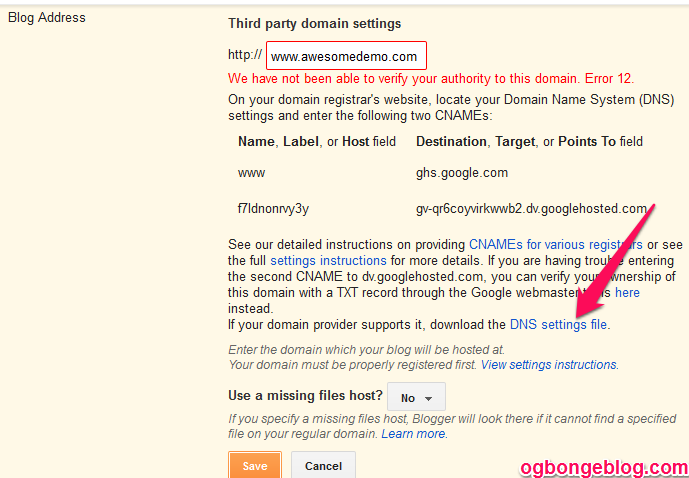 ==> Click "Use classic DNS Manager"
==> Click "Import" and follow the instructions. 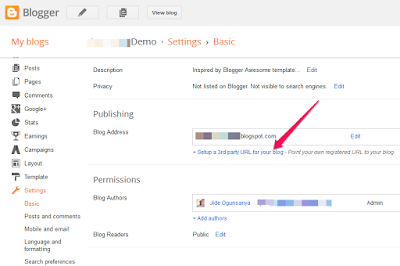 Once successfully imported, go back to Blogger settings to re-save your custom domain name. 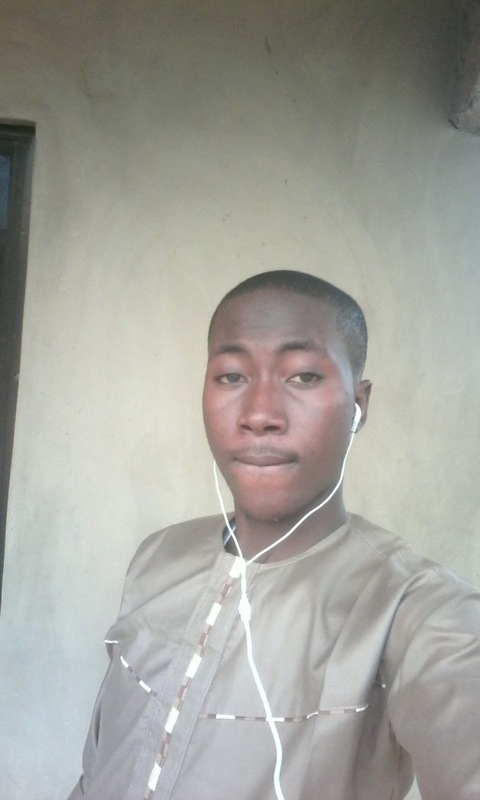 If saved successfully without displaying the error, your custom domain name will start working. Remember to delete some of the existing records that GoDaddy adds by default.